Hazard/Duryea house - This is a one and a half story, three bay gabled main unit with a one and a half story, two bay gabled wing. 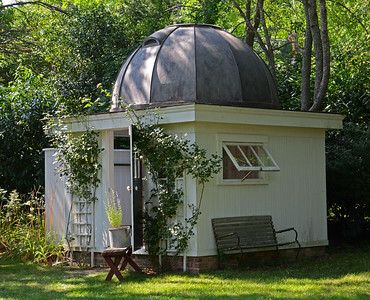 It is believed to have been constructed in 1835. 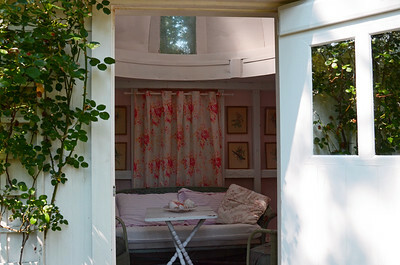 Hathaway Estate - Barn. 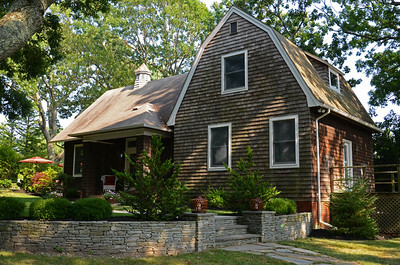 This is a shingle style barn on a brick foundation. 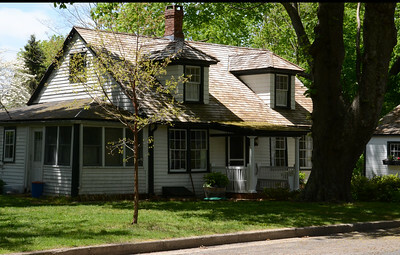 It has a gambrel style roof with a slight flare at the eves and an ornamental shingle course at the roof edge of the gable. 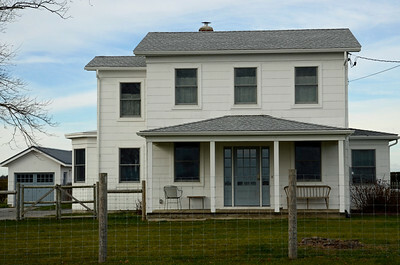 The house is believed to have been constructed in 1896. 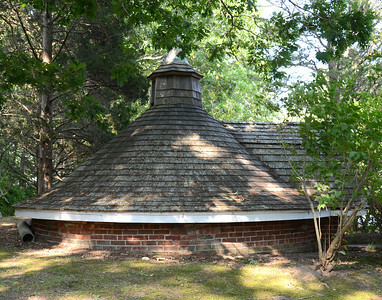 Hathaway Estate - Ice House. 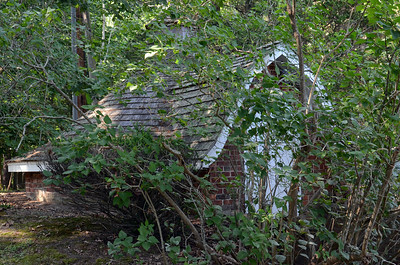 The ice house, together with a barn and a brick post, is all that remains of the estate's buildings. Date of initial construction is believed to be 1896. 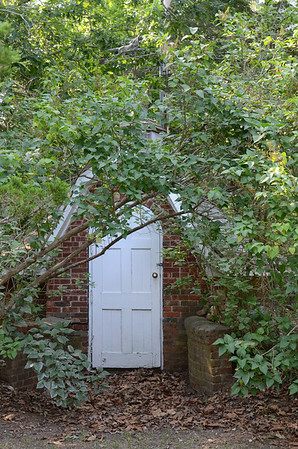 Hathaway Estate - Shingle Style Barn on a Brick Foundation behind the Ice House on the Hathaway Estate. Initial construction believed to be 1896. 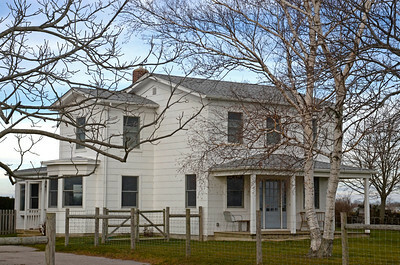 Bergen House - This is a two story, three bay, gabled roof Italianate house that is believed to have been built prior to 1873. 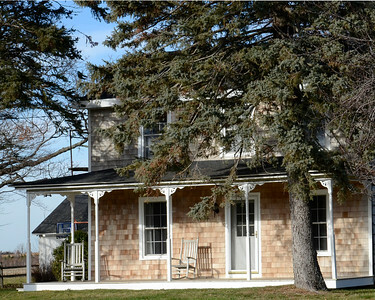 Sadie Acker House - This is the oldest house in New Suffolk and was one of the original fisherman's cottages. The house has a sign with 1743 on it. 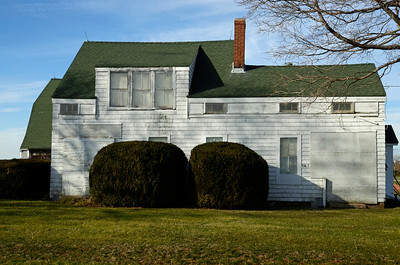 The side porch and dormers were added at the turn of the century.